i love meatballs more than you can probably imagine. beef meatballs, pork meatballs, vegetarian ‘meat’balls during my meat-free years – i’ve devoured + adored them all. the one thing i don’t love? when i make them, i do so in huge quantities so we can have some that night, leftovers for later, + extras to share. sauteeing 4 dozen meatballs in 95 degree weather is not so fun. with most meatballs, i prefer a pan-sauteed version to a baked one, since they get that tasty caramelization on the outside. however, when i ran across this recipe for baked chicken meatballs with a caramelized tomato glaze, i thought, hmm, interesting idea. i had never tried a chicken meatball, but i was ready to try. the result was astoundingly delicious. seriously. i couldn’t believe how wonderful these turned out. the pancetta adds a lovely salty bite while the tomato glaze is simply amazing. these are the most tender, light meatballs i’ve ever eaten. they work perfectly with pasta, as sliders, or on a toasted flatbread sandwich (pictured above). so, if you’re looking for a quick-baking, easy-to-prepare, lighter take on traditional meatballs? try these. i promise you will be impressed! *note: the original recipe also called for a side of pepperonata, but another 35 minutes with a 400 degree oven blazing? no thanks! you can find that portion of the recipe at the gourmet link below. adapted from gourmet, as seen on smitten kitchen, makes about 4 dinner servings, or more as appetizers or sliders. preheat oven to 400°F with a rack in the upper third of the oven. soak bread in milk in a small bowl until softened, about four minutes. cook pancetta, onion, + garlic in one tablespoon oil with 1/2 teaspoon each of salt + pepper in a large skillet over medium heat until onion is softened, about 6 minutes. cool slightly. squeeze bread to remove excess milk, then discard milk. lightly beat egg in a large bowl, then combine with chicken, 1 tablespoon tomato paste, pancetta mixture, bread, + parsley. 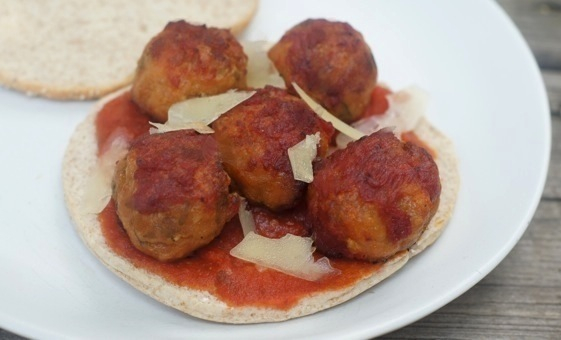 form 12 meatballs + arrange in a 4-sided sheet pan or baking/roasting dish. stir together remaining tablespoons of tomato paste + oil + brush over meatballs, then bake in upper third of oven until meatballs are just cooked through, about 20 minutes. I have a pound of ground turkey in the freezer just waiting for a new recipe…and now I have it. Love the idea of making them into sandwiches too! Pinning to make next week…love that they have pancetta. I make Giada’s turkey meatballs for spaghetti, and they have pancetta and sun-dried tomatoes! ooh, awesome. i haven’t tried them with turkey yet, so let me know what changes you make + how they turn out! the pancetta totally makes this recipe, as does the tomato glaze. i hope you love ’em! Looks so good!!! It’s been a long time since I’ve tried ground chicken, and I’d really like to start experimenting. I’m sure these are fabulous! Would be great in a hoagie with some peppers and onions or with spaghetti. Yum!! I’m drooling. Well i’ll just deliver this thank you from my husband in advance. I’ve yet to attempt to make my Mother-in-law’s meatballs that hubs loves more than life itself. But these i’m definitely going to make! I love that you use ground chicken by the way. Also love Sheila’s idea about putting them in a hoagie. This is so versatile, which means it’s a winner. Bookmarked! woohoo! you + the husband are most definitely welcome. these are amazing + i think you’ll dig ’em. if you’re looking for another meatball recipe (although nothing will probably ever top your mother-in-law’s! ), this is my go-to beef meatball recipe – meatballs with parsley + parmesan. enjoy! thank you! 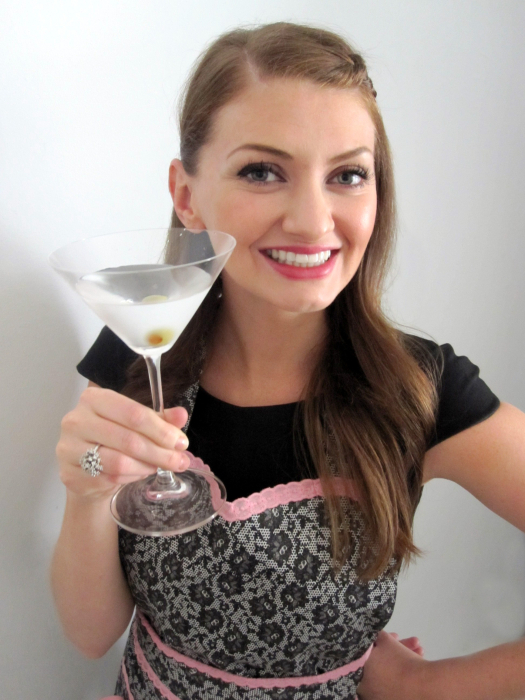 i’m so glad i found your site – it’s full of so many fabulous recipes! thanks, maris! i always knew that i liked you + now that i know you like meatballs, i like you even more! can’t wait to hear how they turn out for you! your dishes never fail to leave me drooling. those look absolutely phenomenal! aww, thank you! meatballs never photograph super beautifully (in my opinion) but i thought these didn’t look too shabby. =) and the flavor/texture is just amazing!